Thank you for an amazing march! 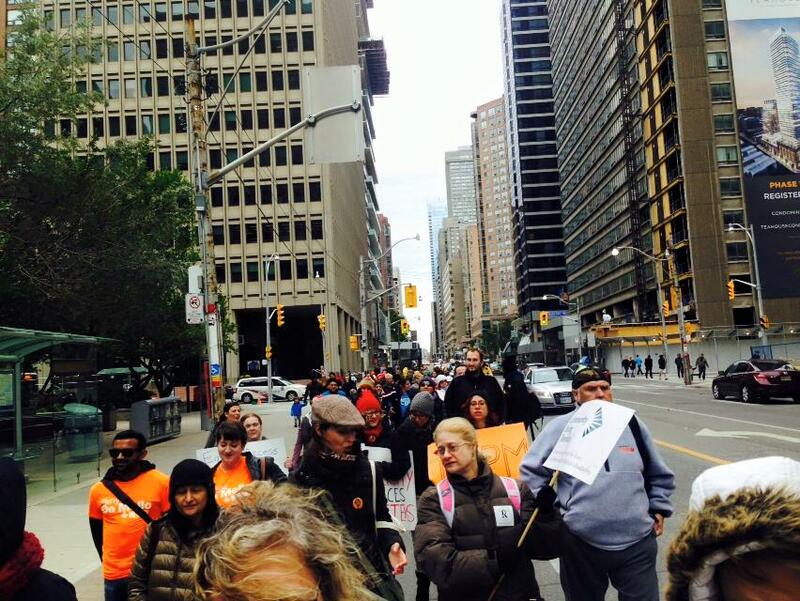 Thank you for joining us for the 5th annual Toronto Disability Pride March on October 3, 2015. There are so many thanks to give and so much to share. Roughly 100 people braved the cold to march this year! We have so much to share about this and our upcoming projects, but until then you can check out the speeches from this year’s speakers, this interview, and photo essay. Keep in touch there’s more to come! In keeping with the tradition, you are invited again this year to join us for a DIY Banner making Party. Your enthusiasm; your creative spirit; your friends and allies. Whatever material you would like to contribute for the banner making.